Split-based Sunseeker Manhattan 60 REJ is a 60ft charter yacht built by Sunseeker in 2008. M/Y REJ can accommodate 6 charter guests in 3 double staterooms, all with ensuite bathrooms, TV/DVD and full air conditioning. 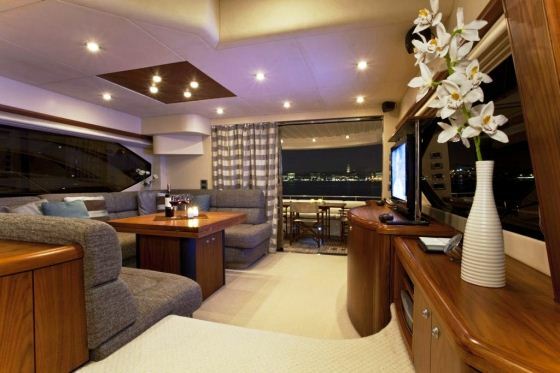 The yacht features TV/DVD and Bose surround system in the salon, IPOD hook-up, Internet access and has a Jet tender with water skis, towing toys, snorkelling gear and more. The Croatian charter yacht REJ boasts sporty lines and excellent performances allowing you to enjoy safe and secure navigation between 23-31 knots. 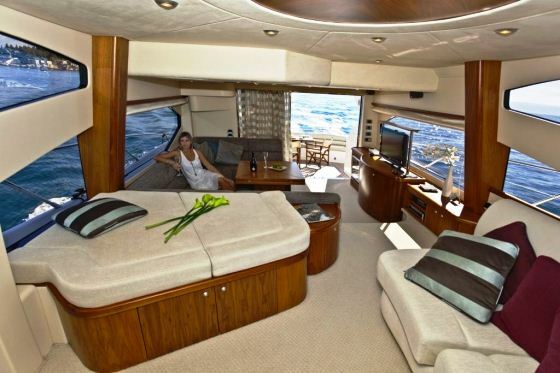 Her space design are ideal for groups of up to 6 charter guests, who prefer fast yacht combined with luxury. 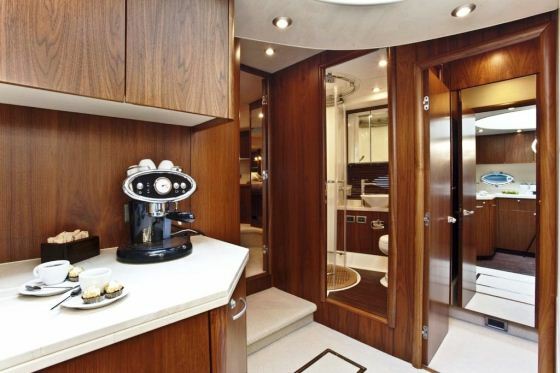 The motor yacht REJ has a beautiful salon with large windows allowing for plenty of natural light to penetrate indoors. The aft deck is spacious with a large al fresco dining table and there is more room on the flybridge above, or on the swimming platform. 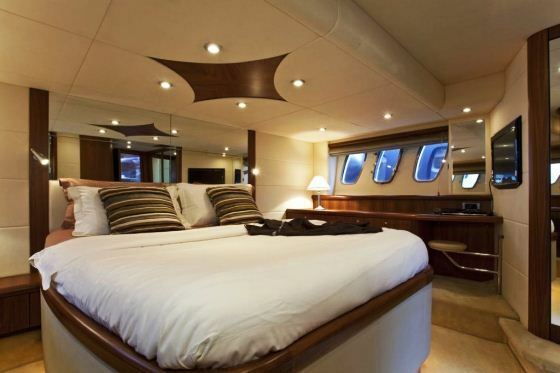 Yacht REJ is able to accommodate up to 6 guests in 3 double bed cabins with en suite bathrooms including a Master cabin with king size bed, a V.I.P double bed cabin, and a double bed cabin. 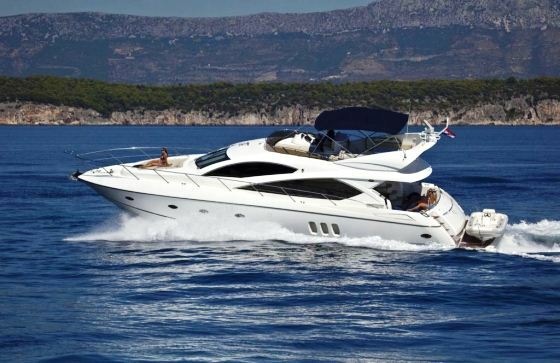 The Sunseeker Manhattan 60 motor yacht REJ has the following extras and amenities: A Willliams 325 jet tender 104 hp, water ski, tube, doughnut, amateur snorkelling equipment. Flat screen TV /DVD in all cabins and the saloon, HI Fi Bose Surround system in saloon. IPOD connection, Internet USB stick. 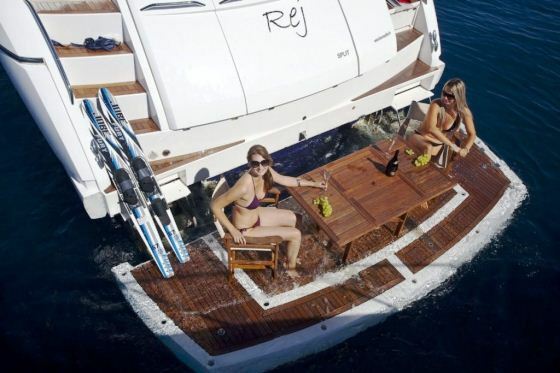 The yacht has Air conditioning, Generator Kohler 13 KW, Hydraulic lifting platform, Ice maker, wine cooler, Ceramic hob and microwave/grill, oven, el. refrigerator and freezer, bow sunbathing cushions, bimini top, BBQ.